NOTE: A ‘celebration of Max’s life’ will be held at Mudgee Racecourse on Tuesday, 18 December 2018, commencing at 2pm. 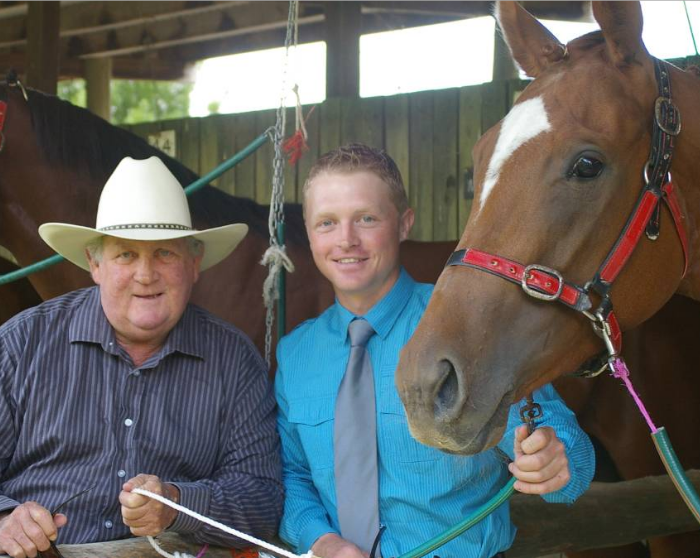 The New South Wales Racing Industry is mourning the passing on Sunday of Mr Max Crockett, from Mudgee, aged 74. “Max Crockett was a legend in racing and many will tell you he was the best horseman in the country,” said Racing NSW’s Chief Executive, Mr Peter V’landys AM. Max was an outstanding horse breaker, having broken in more than 7000 horses for all the best trainers including Bart Cummings, Tommy Smith, Neville Begg, Jack Denham and Les Bridge. He also worked for Inglis before enjoying success as a trainer, winning races on each of the Metropolitan racecourses. Max prepared numerous gallopers for the Foyster family including top grade American-bred galloper, Seeker’s Gold. Max was also very fond of his last good horse, Lancelot, who won 11 races including two Gilgandra Cups (2013 and 2017) and finished placings at Warwick Farm and Canterbury Park. Max’s daughter Yasmin said this morning: “Dad was a massive influence on Cameron and me; you don’t realise how well-respected someone is until they are gone. Max’s son, Cameron Crockett, a top trainer in his own right, said: “I would like to thank everyone for condolences for Dad. He was a special man who touched the lives of many. Mr Crockett leaves behind wife Cheryl, kids Yasmin and Cameron, and the wider family, including four great children.